Watershed quality effects our beaches, our fish and wildlife, and our drinking water! Join us for a terrific environmental education day at Tryon Farm! Learn how to test water quality. It’s FREE and open to the public. Volunteer Stream Monitoring Training introduces citizens and educators to water quality monitoring utilizing physical, chemical, and biological assessment methods. After completion of this training, participants become “Certified Volunteer Monitors.” Riverwatch volunteers are able to perform stream testing, submit data to the statewide volunteer stream monitoring database, and teach students how to monitor. Hoosier Riverwatch has awarded water monitoring equipment to volunteer groups since 1996. Equipment recipients form the foundation of the Hoosier Riverwatch volunteer stream monitoring network. These volunteers agree to monitor their selected stream or river segments at least four times per year for two years and must attend a Riverwatch training workshop. Any school, nonprofit organization, or governmental agency in Indiana is eligible to apply. 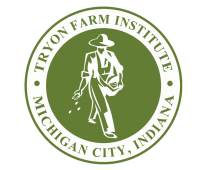 Your participation in this education workshop will help the Tryon Farm Institute obtain this great equipment, which we can then use to monitor water quality throughout the Trail Creek Watershed area. Thanks to Joe Exl (Senior Water Resources Planner from NIRPC) for agreeing to teach us a thing or two! Hope to see you there!